For nearly four decades the legendary Seymour Duncan JB trembucker has been the ultimate hot-rodded pickup, the trembucker is their wider spaced (or F spaced) version of the standard JB humbucker to take in to account the wider string spacing used on tremolos. With its hot coils and alnico 5 bar magnet, this pickup delivers an unmistakable upper midrange attack, a tight articulate low end and harmonically rich highs that can really sing. 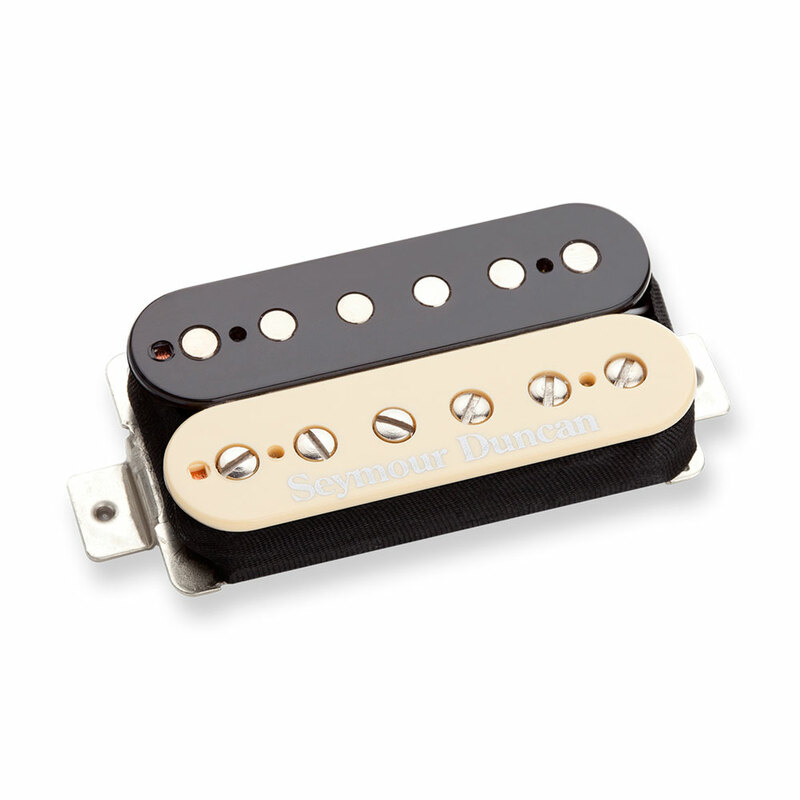 The JB is the perfect bridge pickup for anything from blues & country to the meanest hard rock & metal. Pair with the Jazz neck model for the ultimate Hot Rodded humbucker set.